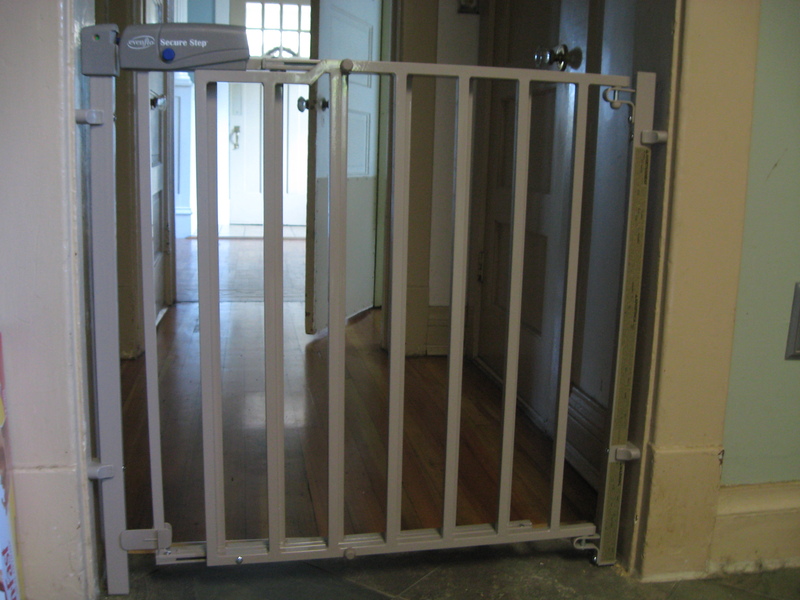 My mom keeps a gate outside the door at her house because of the four to five dogs that would try to run out into the street otherwise (sadly, we lost a Pomeranian that way). I’ve tripped and cursed over it before. Then my mom said, “Just slide it open!” And I said, “What, and do the easy thing?” As soon as you get over the gate and open the door, a flood of puppies comes running out and attacks.